thank u so much 4 the help i needed 4 food. the drygoods were good also u gave me food 4 my dog thank u so much the meat u gave me was hamhocks. i don't even no what that is but i opened the package and the smell hit right away. they were rotten and freezer burnt. is this how u treat people in watertown. no thanks I'll starve to death. i wouldn't even feed it to my dog. Your opinion matters. Leave A Review Or Edit This Listing for Watertown Urban Mission. Closed every 4th Thursday of the month from 1:00pm to 3:00pm to support the Food Sense order distribution. -Food Sense offers everyone the opportunity to stretch their food budget dollars by purchasing quality and delicious food units at a discount - - not to mention the great specials available! -Everyone is eligible to purchase food from Food Sense, including senior citizens, college students, singles, disabled, shut-ins, working and military families. -There are no income requirements! If you eat, you can get Food $en$e! -Food $en$e is NOT a federal, state or local government program. -It is NOT part of any social service agency or any religious organization. -It is NOT a hand-out! Food Sense is a Helping Hand! How do you purchase food from Food Sense? - Register and pay in advance for your unit at Faith Fellowship Church or the Watertown Urban Mission. On Distribution Day you can sign up for the following month. - Pay $15.50 in cash or Food Stamps (EBT). More than one unit can be purchased. In addition to the basic food unit, special items are available for purchase also. Many customers find the food is worth approx. $25-35! - Pick up your food unit on Thursdays at Watertown Urban Mission. Bring your receipt with you. If you are unable to pick up your unit, give the receipt to a friend or relative to pick up for you. We always need more information on our pantries. 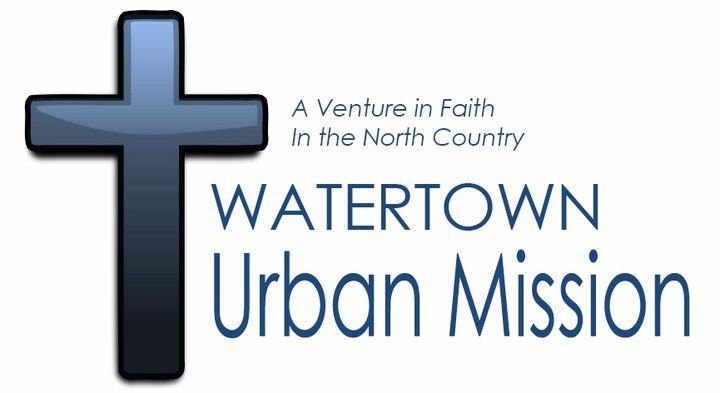 If you know of any details, volunteer information, website, hours or more description information about Watertown Urban Mission please add a comment (below the map on this page), with information. We will then display this for all visitors on this page.